Jeff Jones Racing of the US Formula Drift Championship Series is extremely proud to announce that we have partnered up with Edelbrock performance for the 2017 FD season. Jeff Jones Racing of the US Formula Drift Championship Series is extremely proud to announce that we have partnered up with Edelbrock performance for the 2017 FD season. We will be running the E-Force supercharger in our fully equipped race engine from CPR. The E-Force Supercharger will be on display under the hood and in the pits for the fans to get up close and personal. 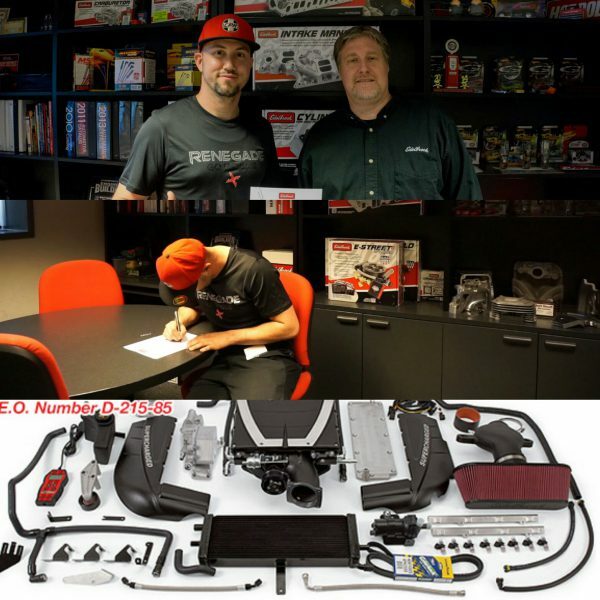 Continue reading Jeff Jones Racing of the US Formula Drift Championship Series is extremely proud to announce that we have partnered up with Edelbrock performance for the 2017 FD season.